Group Vice President, Digital Transformation,Retail, Energry, Manufacturing and Financial Services. 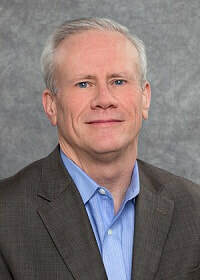 Bob Parker is responsible for the global research direction of four industry practices at IDC – Retail, Energy, Manufacturing, and Financial Services. Additionally, Bob leads IDC's research on Digital Transformation, coordinating our research strategy in this area across all groups and regions. Bob has been in the research domain for over 15 years; joining IDC over ten years ago after spending six years at AMR Research. Prior to getting into research, Bob held several operational and IT management positions in Industry including serving as the CIO at Eastern Technologies, a defense contractor. • MBA from New Hampshire College with a concentration in Artificial Intelligence and Decision Support Systems. • BS with a dual Finance and Computer Science major from Rivier College. • Bob is a highly regarded speaker and is frequently quoted in industry and business media as a subject matter expert on industry technology investments. Follow Bob on Twitter @RobertEParker.